Oh, Brooklyn. You tempt me with your rooftop gardens and skyline views, live music happy hours, and street fairs. You lure me in with your brownstones, cafes, cocktails, and bike paths. You sweeten my day with homemade everythings on every corner. And you leave me shocked at the J. Crew on Wythe (holy, what now?! ), the price tag on a cold-brew, and the traffic on the Manhattan Bridge. But I never expected you to treat me like this: to throw me into a court house, make me stay there for two week while paying me $40 a day, claiming you are more important than any of my bosses or coworkers, and claiming it is my “civic duty”. Brooklyn, I’m just not down with Grand Jury Duty. But because I love your bodegas and ethnic grocery stores and general CSA enthusiasm that made this salad possible, I’ll forgive you for today. 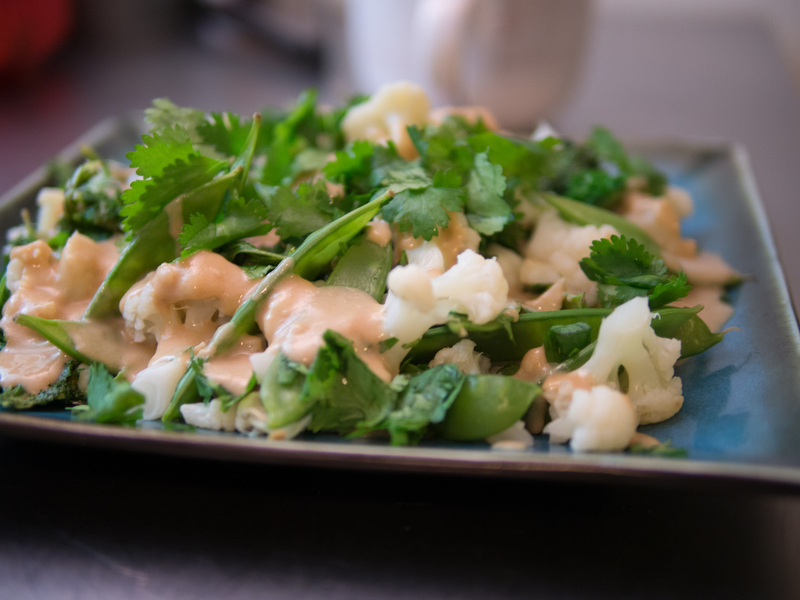 Cauliflower, you have not wronged me yet. Today, you beat Brooklyn. Choose cauliflower, not fulfilling civic duties. Bring a salted pot of water to a boil. 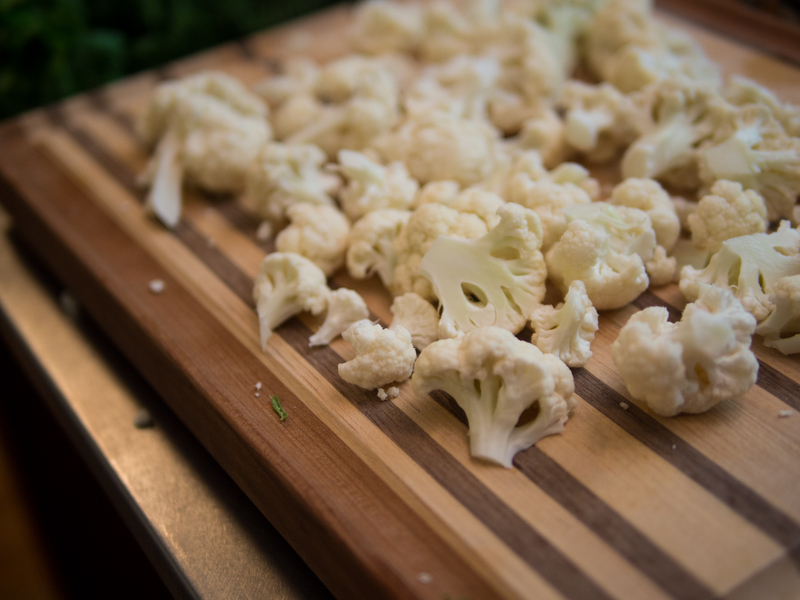 Briefly blanch the cauliflower until cooked but still firm, about 2-3 minutes. Scoop into a colander and run under cool water. Return the water to a boil. Add snow peas, and cook for just 1 minute. 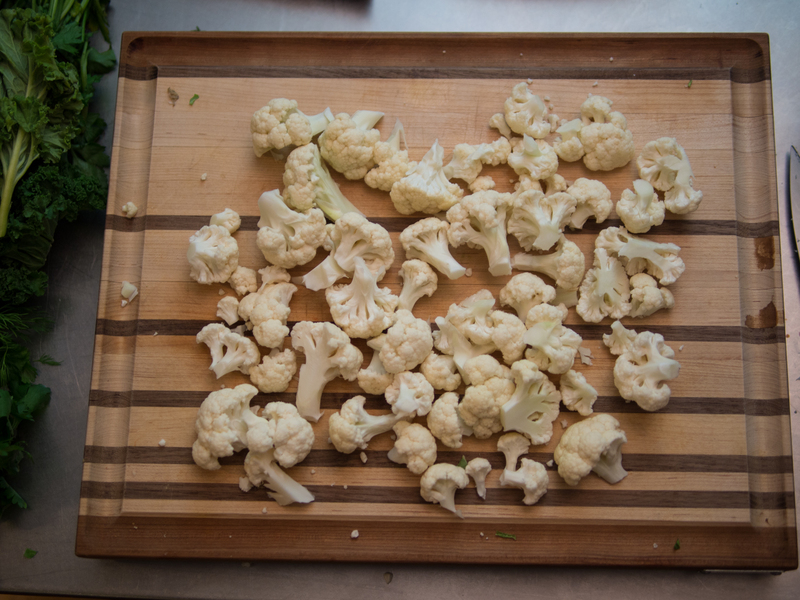 Add to cauliflower. Heat olive oil in a small pan over medium-high heat. Add the kale and a splash of water and cook until wilted, about 3 minutes. 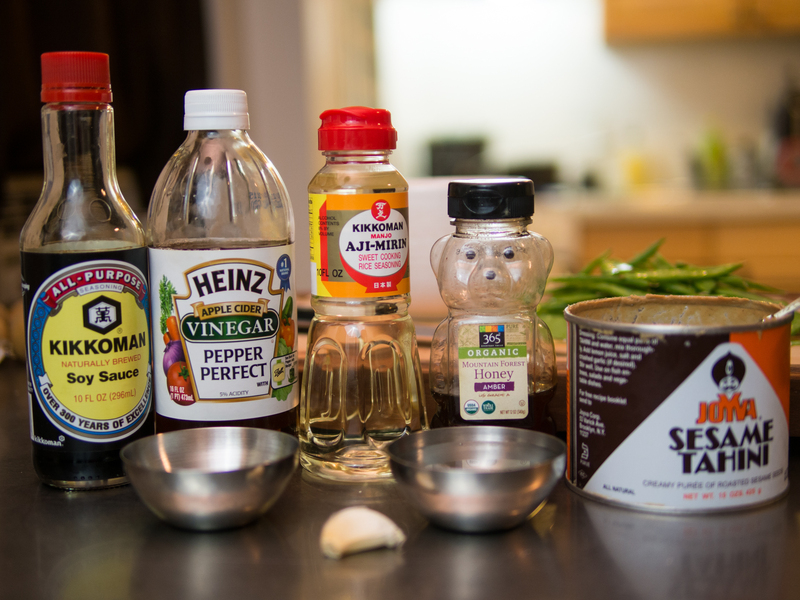 To make the sauce, combine all ingredients together with a fork. To toast sesame seeds, put in a small dry pan and cook over high heat, stirring frequently, until slightly brown and nutty-smelling. Keep a close eye on them; they like to turn too dark while you briefly answer a text message. 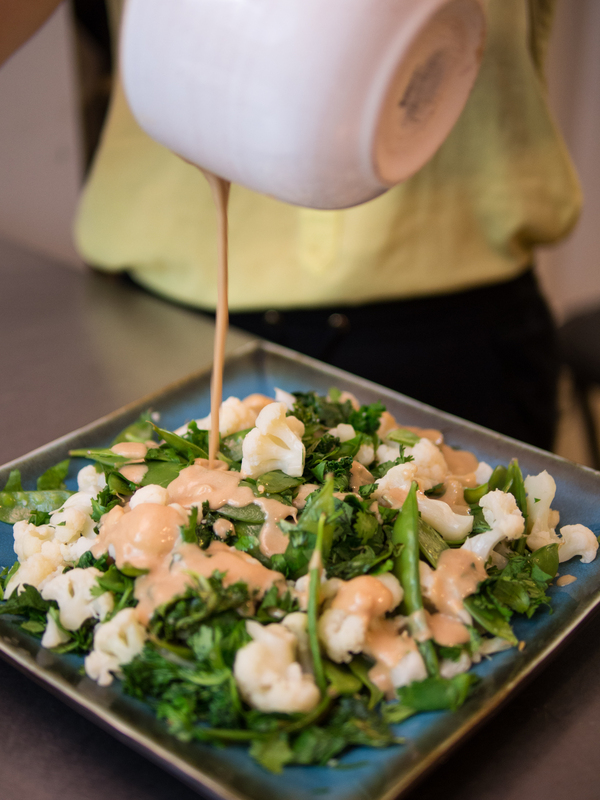 Combine cauliflower, snow peas, kale, and the chopped cilantro on a big plate. Drench with the sauce. 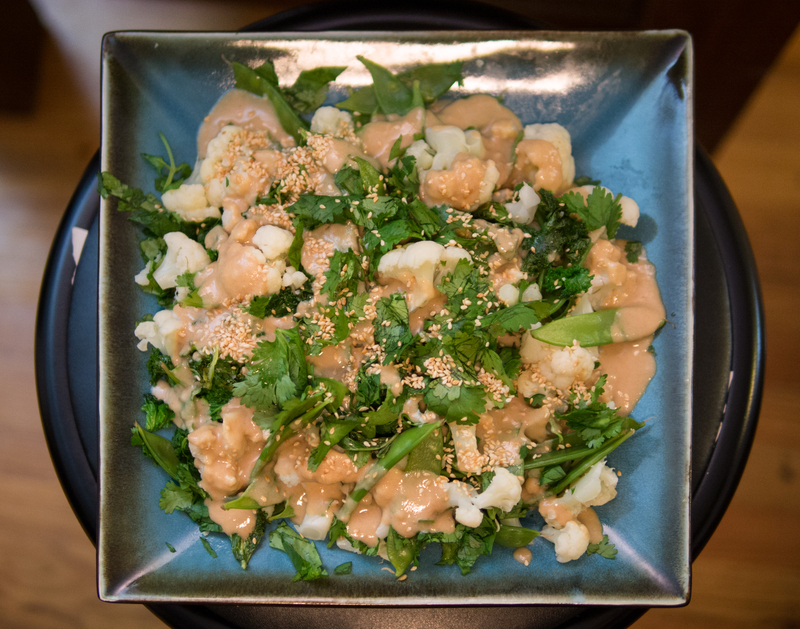 Sprinkle with toasted sesame seeds and whole cilantro leaves. Eat cool or warm. This entry was tagged brooklyn, cauliflower, csa, gluten free, jury duty, kale, salad, sesame, snow pea, tahini, vegan, vegetarian. Bookmark the permalink.